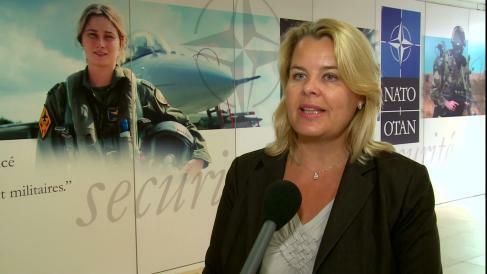 Appointed within a few weeks of each other, the European Union’s Special Representative (EUSR) for Human Rights and the NATO Special Representative for Women, Peace and Security represent the latest innovation in the framework of European security. While the EU has a clear general mandate for the function of Special Representative and a relatively extended network of EUSRs spread across the globe, NATO’s definition and use of this title is way less conspicuous. Serving the EU for over 16 years, EUSRs are generally considered as an important and established instrument of the Union’s foreign policy. Acting as crisis managers, diplomatic negotiators and political advisors of the EU, they also represent and promote the EU’s policies and interest in different parts of the world. Although the function of EUSR has formally undergone only little changes following the entry into force of the Lisbon Treaty in 2009, the recent creation of the European External Action Service (EEAS) has somehow transformed their work as there was a need to define how they would relate to this new service. With the formal launch of the EEAS, it has been further specified that ‘the EUSRs support the work of Catherine ASHTON, High Representative of the Union for Foreign Affairs and Security Policy (HR)’. Reciprocally, the Lisbon Treaty’s definition of the EEAS’s, and, in particular, of the High Representative’s relation to the EUSRs has revealed the HR’s significant clout over EUSRs’ nominations. This power, previously lying in the hands of the Council, is now subject to a proposal from the High Representative. The innovative character of the recent nominations by the EU and NATO, thus, does not lay in the acts themselves, but rather in the nature of the positions that these new EUSRs have been appointed to. In general, Special Representatives are assigned geographically, to key countries and regions in order to provide political presence in specific tense or conflict situations. It is, indeed, the case of the 10 EUSRs (covering Afghanistan, the African Union, Bosnia and Herzegovina, the Horn of Africa, the Middle East Peace Process, Central Asia, Kosovo, the South Caucasus and the crisis in Georgia, the Southern Mediterranean region and the Sudan) and of the NATO Special Representative for the Caucasus and Central Asia. The two recent nominations, however, have been made on a thematic, human-concerned ground. Voices had been increasingly rising within the European Parliament over the past years, calling for the appointment of an EUSR for human rights. As the first special representative dedicated to a specific theme, the EUSR’s mandate will last two years, “to deliver on issues that are inherently long term”. The EUSR will be responsible for interacting with the UN and chairing high-level human rights dialogues with countries outside the EU. Will these nominations, that effectively place human rights and women’s rights on the front stage, make a difference, or will they turn out to be mere symbolic moves? As HR Catherine Ashton declared, “the EUSR is part of a bigger ‘package’”. The creation of the new EUSR was, indeed, immediately followed by the adoption of the EU Strategic Framework and Action Plan on Human Rights and Democracy (11855/12). As the first representative for human rights, Mr. Stavros Lambrinidis will have the chance to personally give shape to the mandate he was granted, building on it with his own personality and ambition to determine the position’s utility and potential. This will most certainly be even more salient for Ms. Mari Skåre, only the second special representative appointed by NATO. In both cases, however, the role of the special representatives will be constrained by member states’ actions, externally as well as internally, and analysts fear the perpetration of double standards on the EU side in the field of human rights. This entry was posted on 12/09/2012 by ISIS Europe in Myrto Hatzigeorgopoulos, Opinions and tagged EEAS, EU, EU Crisis Management, EU Foreign Policy, EU Institutional Reform & Oversight, Europeanisation. Democratisation, Meanwhile, NATO.